EdaraLab Education Management brings Google, Boston Consulting Group, World Economic Forum, American University of Beirut and Majid Al Futtaim Holding to discuss gap between education and jobs. 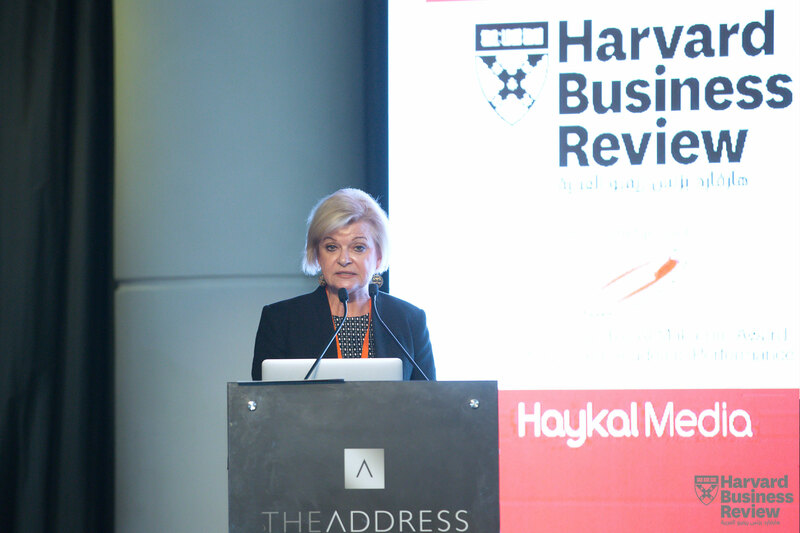 Harvard Business Review Arabia held on November 5 the event in the EdaraLab Series, focused on Education Management. 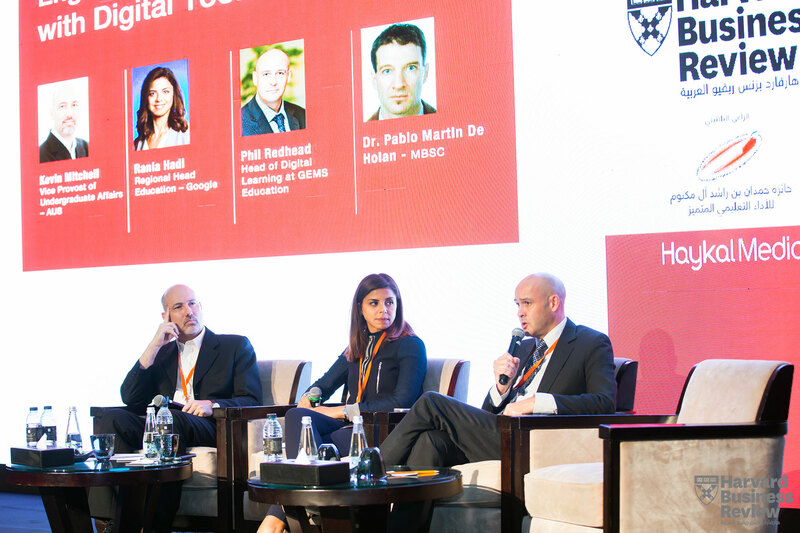 The one-day conference in Dubai witnessed a significant crowd of speakers and participants, including top education leaders from Google, World Economic Forum, Boston Consulting Group, and American University of Beirut, among others. EdaraLab in Education Management was sponsored by the Hamdan Bin Rashid Al Maktoum Award for Distinguished Academic Performance. In a speech, Dr. Khalifa Ali Al Suwaidi, member of the Award’s Board of Trustees, highlighted the programs launched by the Award to improve the innovation among the youth in close collaboration with very experienced institutions in this field from the US and Europe. The conference shed light on challenges facing the education sector, including leadership and strategy, shaping of future talent, innovation and transformation in education. 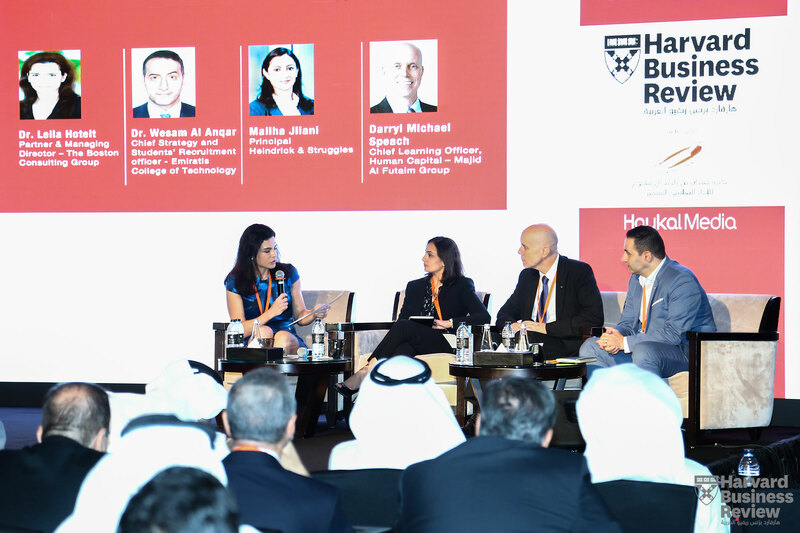 Speakers included Jim Landale, Head of Knowledge Management in the Knowledge Networks and Analysis Team at the World Economic Forum, and Jaci Eisenberg the Lead for the Global University Leaders Forum (GULF) community and university engagement at the WEF. Panelist Rania Hadi, Regional Head of Education at Google, shared the solution from Google’s perspective suggesting the digital tools to disrupt the conventional curricula and the way of teaching to feed the markets with qualified employers. The conference also discussed How businesses can help ensure that college curricula stay relevant with involvements from speakers Hugh Bosely, founder and chairman of RBK, and Steve Harvey, Dean of Suliman S Olayan School of Business, American University of Beirut. 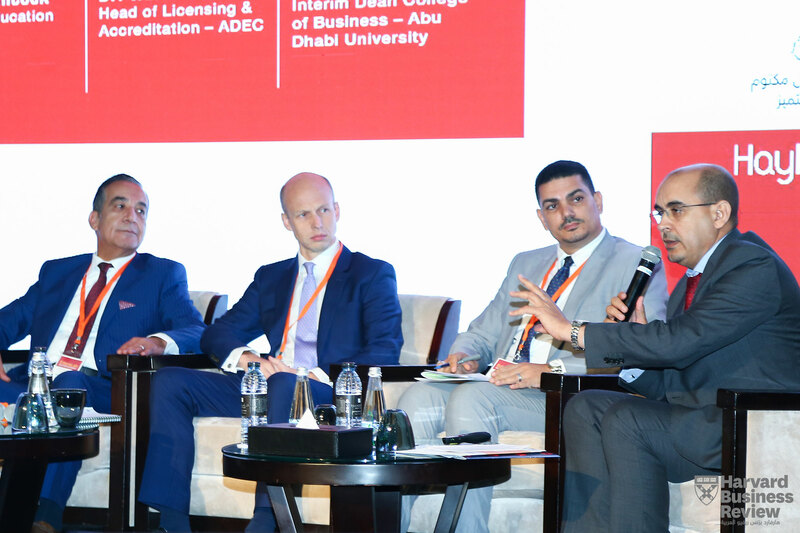 Edaralab panels also debated the topic of how Business must work with educational institutions to evaluate the kinds of learning that matter with participation from Mohamed Salem, President of Wollongong University, Roland Hancock the Director Education of PwC, Walid Yassin, Head of Licensing in Abu Dhabi Education Council, and Ali Abu Rahma, Interim Dean, College of Business, Abu Dhabi University. The conference has discucced the answer of the question “How are leading educational institutions preparing their students for the job market of Now AND that of the future”? Different ideas and experiences came from the panelists; Leila Hoteit, Partner & Managing Director, Boston Consulting Group, Wesam Al Anqar the Chief Strategist at Emirates College of Technology, Maliha Jilani, Principal Heidrick & Struggles, and Darryl Michael Speach, Chief Learning Officer, Human Capital, Majid Al Futtaim Holding. Other interventions from different experiences and speakers like: Hisham Elaraby, Regional Director MENAm Udacity, Phil Redhead, Head of Digital Strategy at GEMS Education, Sally Jeffery, Partner PwC, Global Education Sector Leader, and Kevin Mitchell, vice provost of Undergraduate Affairs and prof of Architecture at American University of Sharjah. 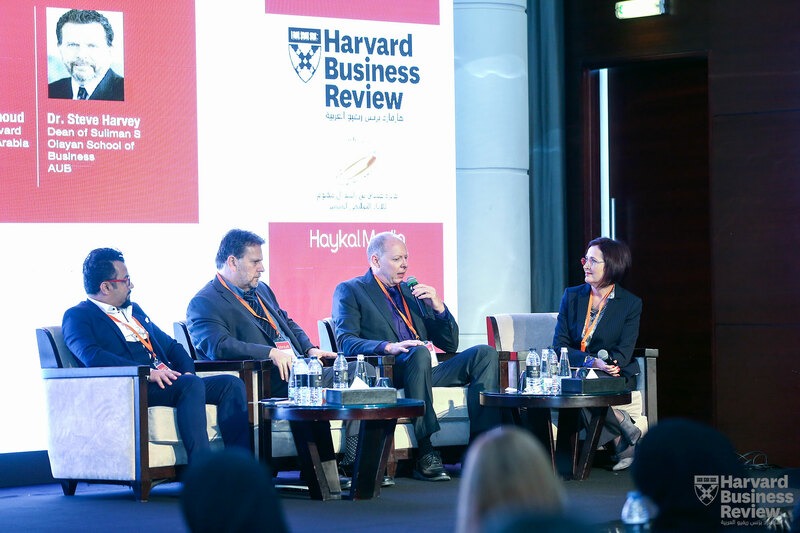 The event took place at the Address Dubai Marina Hotel, and was organized by Haykal Media, publisher of Harvard Business Review Arabia. 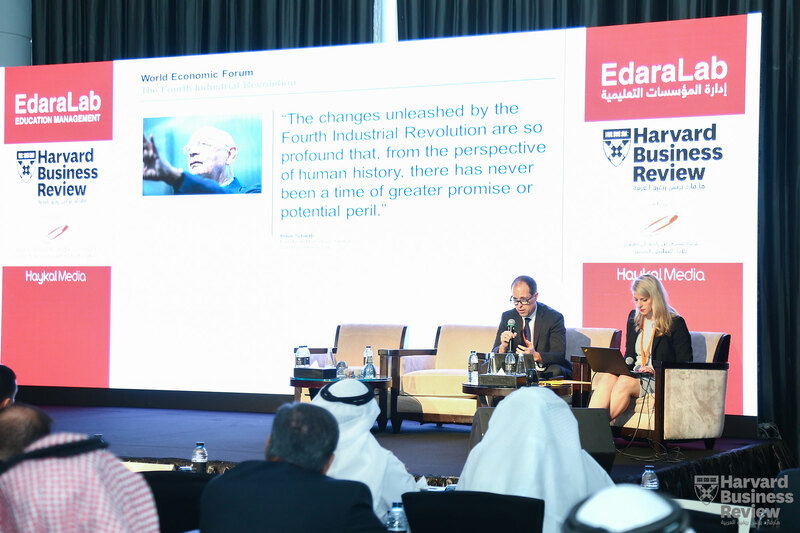 “EdaraLab is the business events plaform of Harvard Business Review Arabia. Education Management is the first event in a series of events targeting different industries (Healthcare, Government, Finance, etc.) 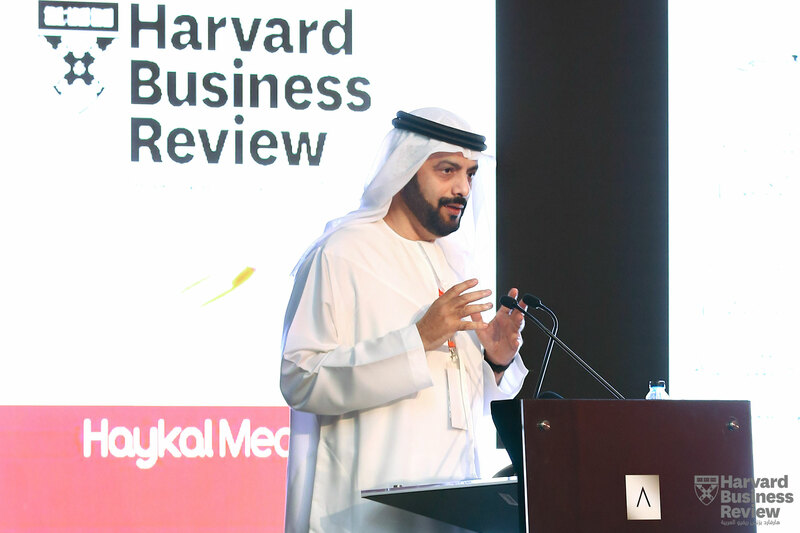 and focusing on the improvement of the practice of management in the Arab World,” said Hadi Malaeb, vice president of conferences and events at Haykal Media.